One of the reasons why I love Freeway is because of their dedication and commitment to fashionalism. 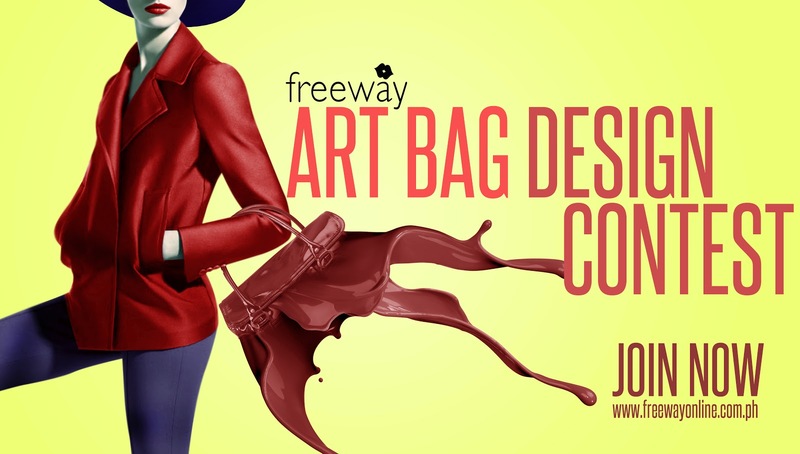 As 2012 kicks off, Freeway is starting the year right by sharing its mission to champion the spirit of fashionalism as they launch first ever Art Bag Design Contest. The competition encourages young creative minds to showcase Filipino talent and fulfill Freeway’s vision to showcase Philippines Art & Culture through innovative interpretations. 2 grand winners will be selected and their designs will be part of Freeway’s National Artist Collector’s Series Fall 2013 in May together with the featured National Artist which has yet to be revealed. The winners will receive a 16gb iPad Mini and Php 10,000 worth of Freeway Gift Certificates. Contest period starts January 1 to February 28, 2013. 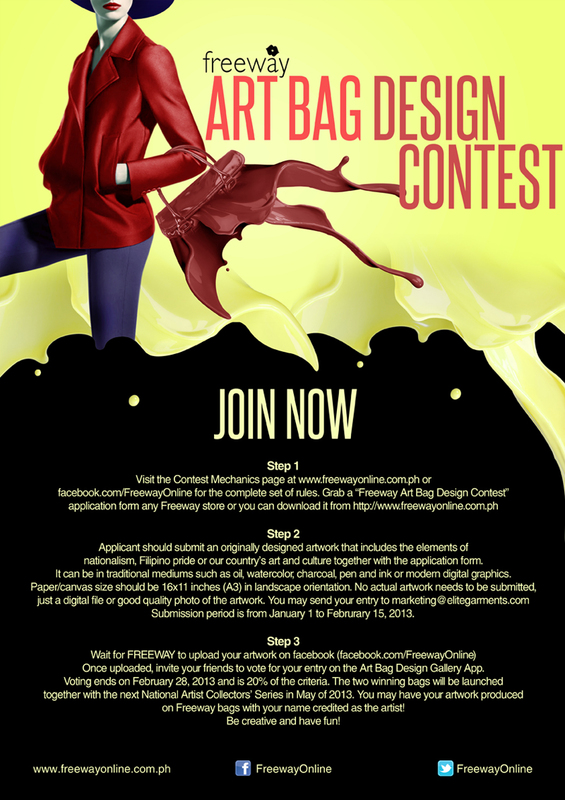 Submission of entries will be accepted only until February 15, 2013. Voting starts January 1 to February 28, 2013. See full mechanics and download application form at www.freewayonline.com.ph. Learn more about Freeway’s Bag Design Competition on their websites www.FreewayOnline.com.ph and Facebook Page facebook.com/FreewayOnline.